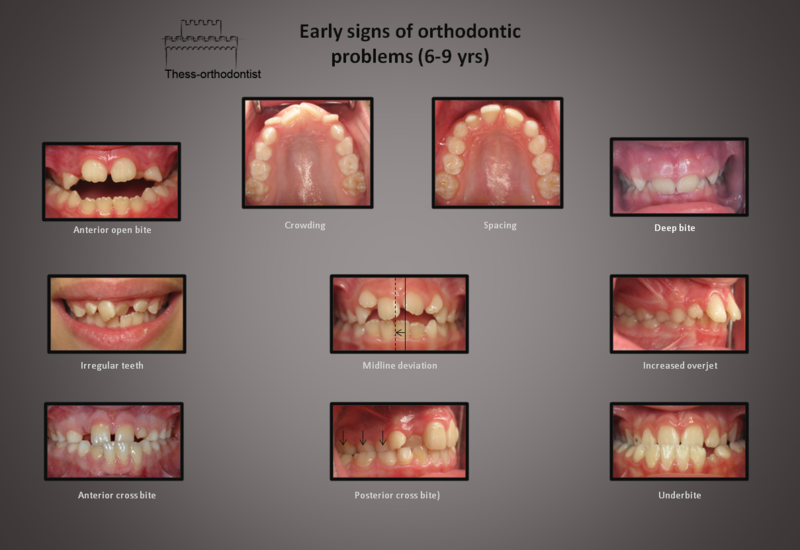 The first visit to the orthodontist is suggested to take place at the age of 7-8 years, because at this age we can already diagnose several orthodontic problems. Early diagnosis does not necessarily mean that orthodontic treatment needs to start immediately, but it is very important because with the appropriate planning we can prevent or stop the deterioration of a problem. Especially when there is a skeletal problem, early intervention may be the most effective during and before completion of the skeletal growth of the child. 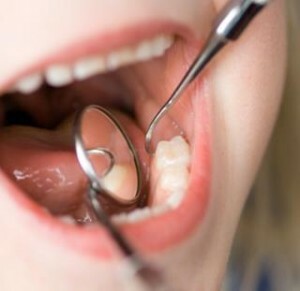 If the parents notice crooked teeth, large gaps between the teeth, protruding teeth, milk teeth that are lost prematurely, delayed eruption of permanent teeth, asymmetry when the child bites the teeth, then an orthodontic consultation is strongly recommended. Check some of the early signs of orthodontic problems. If the child has regular check-ups by the family’s dentist or by a pediatric dentist, he/she should be able to recognize an orthodontic problem and refer the child to a specialist. …and I am an adult. Everyone deserves a beautiful smile and adulthood is not a limit towards that goal. Certain conditions must be met though, such as healthy periodontal tissues (healthy gums, adequate bone support). Unlike developing children and adolescents, the skeletal growth in adults is completed, so the treatment goals and therefore solutions have to be adjusted to dental condition and the age of each patient accordingly. Modern orthodontics offer several aesthetic options with slightly visible or ‘invisible’ orthodontic appliances (invisalign, lingual braces,’white’ braces), thus overcoming the aesthetic problem that usually concerns adult patients. 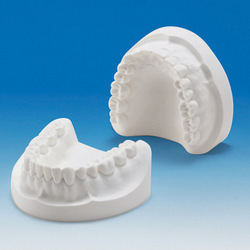 In some cases adult orthodontic treatment belongs to a broader multidisciplinary treatment plan, requiring close collaboration with the general dentist or other dental specialists, such as prosthodontist, periodontist, endodontist, and in cases with severe skeletal problems, orthognathic surgeon. What will happen in the first visit? We discuss the patient’s chief complaint and examine the teeth and face overall. Therefore we can provide a general assessment of the orthodontic ‘status’ with particular reference to the existence or not of an orthodontic problem, the severity of the problem and the recommended treatment timing. If there is a need and desire for orthodontic treatment, we arrange a second appointment where we collect the diagnostic data that will provide accurate and necessary information about the health and position of the teeth and the jaws. A third meeting is arranged , where we discuss the orthodontic treatment plan. What is the orthodontic treatment plan? It is the individual therapeutic approach for the orthodontic patient. We study in details the diagnostic data mentioned above in order to form the accurate diagnosis. We take into account the patient’s personal expectations of the treatment. We set the goals of orthodontic treatment and explore all options that may be available to achieve our goal. We define the stages of orthodontic treatment and the type of appliances to be used. We also determine the duration and the cost of treatment. Together we analyze and discuss the treatment plan, answering to all questions. We are then able to start the orthodontic treatment, that suits the therapeutical and personal needs of the patient.